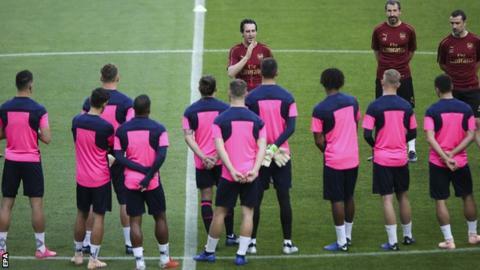 Speaking after the match, Emery said: "It's the worst news tonight, this injury". "It's very challenging mentally, but sometimes it comes in the game and there's been a lot of injuries, and unfortunately for Danny he's had a few so we're going to wish him the best", he stated. "He was working well and he was having a good match". "He had some chances too. We don't want it, but this is our profession". Meanwhile, Lichtsteiner pulled up with an apparent hamstring injury and is now doubtful for the clash with Wolves. Petr Cech also played, along with starlet Emile Smith Rowe as did Carl Jenkinson. Hector Bellerin, Shkodran Mustafi, Lucas Torreira, Mesut Ozil, Pierre-Emerick Aubameyang and Alexandre Lacazette were all rested on Thursday, suggesting they will return here.